Kehlani's youthful style of R&B music has been very enjoyable to listen to these last couple of years. With that being said, for the last few months, a lot of growing up has occurred for the Oakland product outside of music. For starters, she is expecting her first child any minute now, and secondly, she has found a way to deal with the ups and downs that come with having a relationship in the media’s spotlight a lot better. In my opinion, these transgressions have certainly impacted her music, which is why I believe While We Wait will show the world a completely different side of the singer. Kehlani has definitely matured. Has her subject-matters changed? Not quite, but the way she approaches them has. On songs like “Nunya,” “Morning Glory,” “RPG” and “Night’s Like This,” I feel like she finds way more productive ways to address issues like neglect, moving on and dealing with exes. 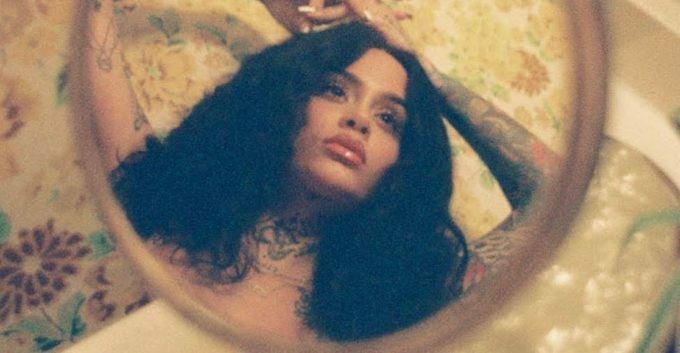 While We Wait showcased a level of versatility from Kehlani that was outstanding. On some songs, you have slow jams, on others, you have uptempo jams, and on others, you have emotional bangers. Believe it or not, she fits every single style like a glove, adjusting her intensity accordingly when she needs to. While We Wait was too short. But then again, the project is called While We Wait, so hopefully, more fire is coming from her in the near future. J.Cole Releases The Video For "Middle Child"